Speaking in front of large groups would make anyone nervous. But for some, the fear of public speaking is debilitating. Studies show that some 74% of the population experience this type of anxiety. Are you one of them? Fear of public speaking can have a negative effect on both your personal and professional lives. It can make it difficult to carry on a conversation at a party or surrounded by a large group of people. That anxiety can keep you from making friends and connections that would enhance your social life and happiness. Professionally, anxiety about speaking in public can make meetings and presentations extremely difficult. Your superiors will not have the opportunity to see what you know and can do if you are afraid to express yourself. And if your job requires you to speak at conferences or take part in awards ceremonies, the activities that would normally be a much-anticipated honor become a dreaded nightmare. Anxiety over public speaking is rooted in emotions and fears — fear of failure, self-consciousness, or a lack of confidence. But the good news is that these emotions can be altered and replaced with positive feelings and confidence. At Advanced Care Hypnosis, experienced and knowledgeable professionals can help you overcome your fear of public speaking with the aid of hypnosis. Hypnosis is a complementary technique that places you in a very relaxed state, allowing a trained hypnotherapist to influence your subconscious in a positive way. You are not in a trance, but more accurately, in a highly-focused state of mind, similar to when you are completely absorbed in a great movie or book. In this state, you are susceptible to suggestions that can alleviate your fear and help you live a more fulfilling and successful life. The British Psychological Society published a report called “The Nature of Hypnosis,” which noted the effectiveness of hypnosis in the treatment of anxiety. “Enough studies have now accumulated to suggest that the inclusion of hypnotic procedures may be beneficial.” With fear and anxiety being rooted in the mind, it makes sense that hypnosis would be a useful and productive technique. Daniel Rose had over 30 years of experience as a hypnotherapist, assisting those who are struggling with anxiety. He has had some amazing results with his patients. Under his care, you can see the effects in as little as one session! Learning to overcome your fear of public speaking is no easy thing. But the benefits are extensive. Imagine your life without the constant struggle against your own irrational fears. Imagine meeting new people and making friends at social events, laughing and conversing, and letting your true self shine without the hindrance of self-consciousness. Picture yourself offering your insights and knowledge at work, confident in your ideas and excited to share them with the group. Picture yourself making presentations, impressing your boss, and advancing in your career because others can see your proficiency and excellence in your position. Living with a fear of public speaking can be very difficult. It can hold you back from success and happiness. But you do not have to live like that anymore. Advanced Care Hypnosis is ready to help you move past your fears and anxieties and live a more fulfilling life. 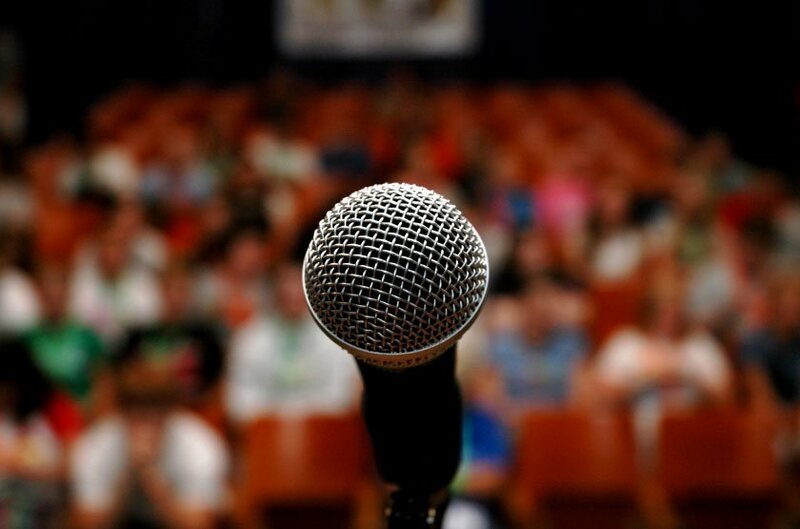 Their compassionate and helpful staff will give you the tools you need to overcome your fear of public speaking and get results that will last long into the future. If you are ready to put your fears and anxieties behind you and live the successful life that you deserve, then contact Advanced Care Hypnosis. Now is the time to be the best version of you.